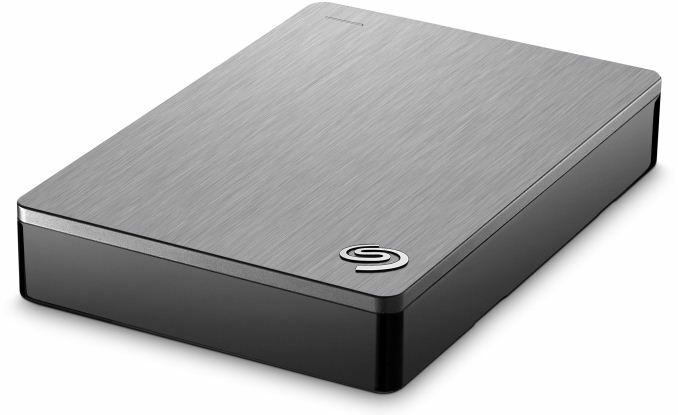 Seagate this week formally introduced its Backup Plus Plus Portable Drive external HDD with a 5 TB capacity that is based on the recently launched top-of-the-range BarraCuda 2.5” drive. The new DAS offers the industry’s highest capacity in its class and also uses Seagate’s latest 2.5” platters featuring shingled magnetic recording (SMR) technology as well as multi-tier caching (MTC). The Seagate Backup Plus Portable Drive 5 TB (STDR5000100) and its lower capacity sibling with a 4 TB capacity (STDR4000100) come in an anodized aluminum enclosure (78 × 114.5 × 20.5 mm) and use USB 3.0 ports for both for power and data (backward compatibility with USB 2.0 is naturally maintained). The drive is listed as consuming no more than 2.1 W of power, and can be used with PCs and compatible mobile devices as well. To simplify the process of using the DAS, Seagate bundles its Dashboard software for Apple macOS, Microsoft Windows, Apple iOS and Google Android operating systems with the product. Moreover, with the purchase of the DAS, Seagate also offers 200 GB of storage space in its cloud for two years to store important files. 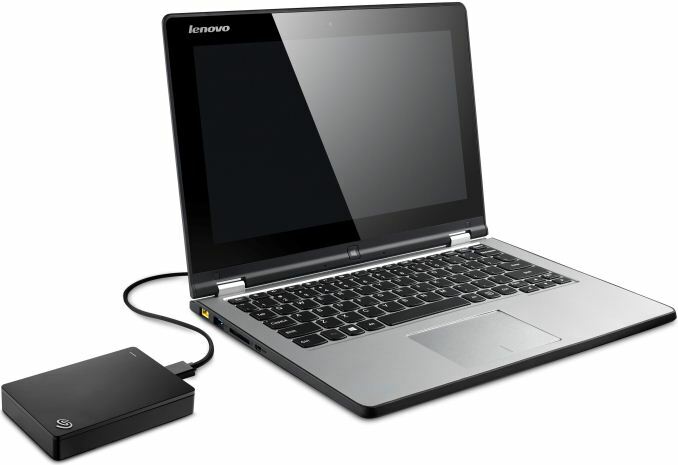 The storage part of the Backup Plus Portable Drive 4/5 TB is the BarraCuda 2.5” 4/5 TB HDD introduced last month. (It is logical to assume that Seagate solely uses drives with 1 TB platters for the DAS products, but the company has not confirmed this) Those drives use 1 TB SMR platters at a 5400 RPM spindle speed, with 128 MB of cache as well as the company’s proprietary MTC that ensures predictable write performance of SMR-based HDDs. While the new DAS is not the first external HDD from Seagate to use SMR, it is the first drive to use the multi-tier caching. It remains to be seen whether the MTC improves real-world performance of a DAS, but at least it offers a promise of performance improvements over previous-gen solutions. 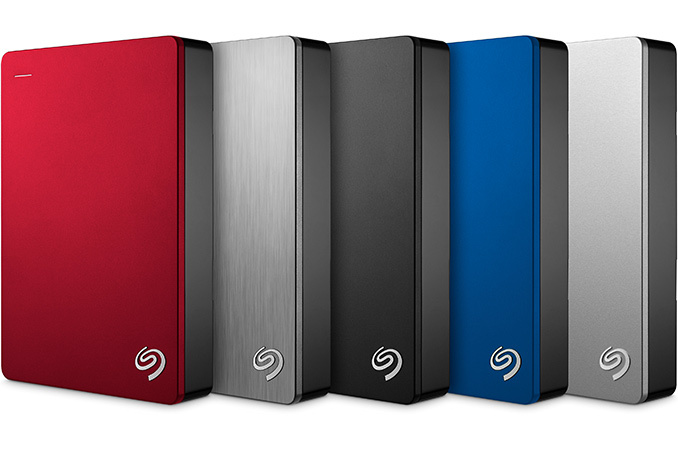 The Seagate Backup Plus Portable 5TB hard drive will hit the market this month in black, silver, red and blue color options. At present, the Backup Plus Portable 5TB drive is the world’s highest-capacity miniature external HDD, which is why Seagate charges a premium for it: the product costs $190, which is considerably higher than some of its predecessors.